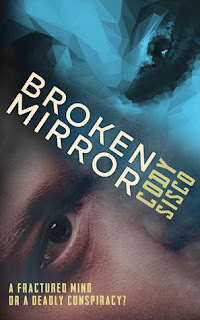 Cody Sisco is nearing the publication of the sequel to his novel Broken Mirror. 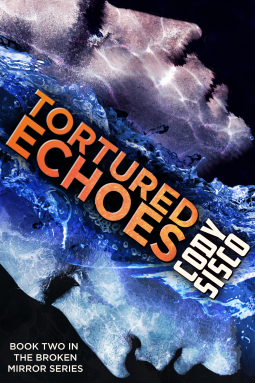 Tortured Echoes is out on March 25 – and Cody stopped by the blog to chat about the book ahead of its launch. Hi Cody, and welcome to Altered Instinct. Now, before we chat about the latest book, let’s start at the beginning – tell us a little about Broken Mirror. Thanks, Stephen! I’ve enjoyed the Inklings Press anthologies and look forward to reading your story in Tales of Wonder. Broken Mirror is the story of a mentally ill young man who believes his grandfather was murdered. As he investigates, he begins to question his own mental state as well as the system of treatment that keeps him one misstep away from institutionalization. Now, the book draws upon a degenerative brain disorder for some of its inspiration – mirror resonance syndrome, what is the syndrome and, without spoilers of course, how does it play into the events of the novel? Mirror resonance syndrome (MRS) borrows elements from other mental disorders like schizophrenia, bipolar disorder, and borderline personality disorder. People with MRS also experience extreme emotional transference; they involuntarily feel what the people around them are feeling, strongly. This can lead to mental shut down, or blanking out, when their consciousness overloads and shuts down temporarily. Victor Eastmore, the main character, has suffered from MRS for years. Through medication and therapy, he maintains a tenuous grip on his sanity—until his grandfather dies under conditions Victor finds suspicious. How did you come to be inspired by that? How did you encounter the disorder’s existence? My cousin struggled with schizophrenia for years and died tragically while institutionalized. Several friends from childhood developed personality disorders in their teens or became addicted to drugs. I struggled with depression in my late teens and early 20s. It seems like many young people in my generation face uphill odds to simply lead normal lives. I wanted to show that struggle through my writing. How has the response been to Broken Mirror? What have been your favourite piece of feedback you’ve received to it? 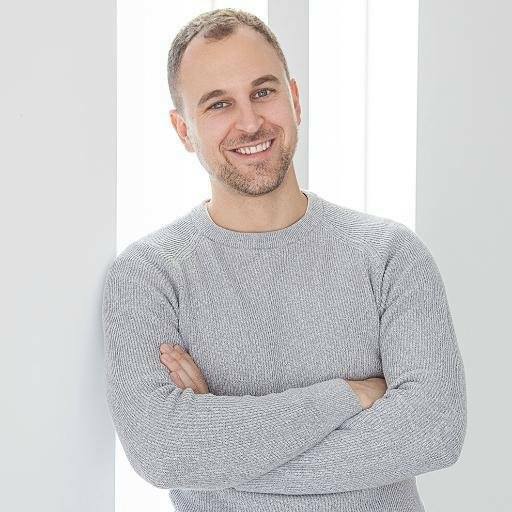 People seem to really connect with Victor and to root for him. He’s a broken person, but he doesn’t give up. I think that draws readers in. I’ve also heard a lot of comments about how much they like the alternate history world and that they want to learn more about it. So moving on now to the sequel, how long has the process taken from sitting down to write to being on the verge of publication? When I began, I knew I was writing a series, but the first draft of the first novel was 900 manuscript pages. Eventually I realized I needed to split that up into three volumes. I reworked the first volume (Broken Mirror) over two years. The second book (Tortured Echoes) took less than a year, and might have been even faster, if I had jettisoned more of that original material. Writing styles and storytelling skills can improve by leaps and bounds in a short time, and sometimes it’s more efficient to start with a blank page. Again without spoilers – including for the first book – but what moments stand out for you in the sequel as an author? There was a character who was offstage for all of the first book: Samuel Miller. Samuel killed hundreds of people during a massacre in a small town in Semiautonomous California two decades before the start of the novel—a massacre that Victor lived through. Samuel Miller is also the original “patient zero” for MRS. In Tortured Echoes, Victor must confront Samuel and help manage his condition in order to uncover the truth behind Victor’s grandfather’s death. The scenes with Samuel and Victor felt electric while I was writing them and I hope they give a good jolt to readers. Beyond that, we get to see Victor in a new place, interacting with new characters (and some returning favorites! ), and stretching his boundaries. The lead character of Victor Eastmore – if you were casting him for a movie, do you have an actor in your mind’s eye who might play him? Ohhh, that’s a tough one! I don’t have someone specific in mind, but the perfect actor is probably working on set, filming a telenovela in Latin America somewhere and probably not in Hollywood. You build a lot of technological developments into your work, how much research have you had to put in for such things – and what’s the most peculiar thing you found yourself researching in the course of the writing? I’m a voracious reader of science news, especially theoretical physics, astronomy, cognitive science, neurology, and new materials. In researching, I spoke to therapist friends, I read articles in Nature and New Scientist, and I fell down Google rabbit holes for days. I tried to make sure there was a plausible physical basis for mirror resonance syndrome—a genetic mutation affecting inhibitory neural circuits—and that the symptoms added up to a coherent syndrome. Anil Ananthaswamy wrote a great neuroscience book called The Man Who Wasn’t There, which helped me add some finished touches. The unfortunate truth is that most of the interesting facts I researched didn’t fit in the flow of the story. One crazy bit of science that I will use in a future volume has to do with transposons, which are bits of genetic material that are mobile. They can replicate themselves and then insert themselves into different places in the genome. It’s thought that maybe they’re useful vestiges of viruses that have been incorporated into human lineage. Amazing! What’s the most fun piece of technology that you’ve included in the story? Which one do you want to own yourself? I don’t want a data egg! Lol, they’re much more trouble than they’re worth. And MeshBits can’t really do all the entertaining stuff our smart phones can. But self-driving cars? Yes, please! I look forward to a day when you have to go to a special driving reserve to drive a car because it’ll be too safe, convenient, and efficient not to use one of the AI controlled vehicles. Of course, those are outlawed in Semiautonomous California, so I’d have to move. Speaking of which, I would mind owning a (non-lethal) stunstick. Your books have very striking covers, with a strong design running across them to link the identity – even the split identity. I’ve noticed you putting a lot of work into the design, asking for feedback through the process. What were you trying to capture in the cover to reflect on the novel’s contents? It was important to me that the cover sit in the “uncanny valley” between abstract and realistic. I wanted faces to appear on the cover so readers could intuit that this is a story with strong characters at the center. Yet this is also a story about a world that’s different from our own—off-kilter and disturbing—so there needed to be some sharp, odd angles, distortion, and dramatic, sinister coloring. The cover designers I’ve worked with, especially Steven Novak, have been so creative, flexible, and indulgent of my vision—cover development has been one of the truly fun parts of the publishing process. In terms of influences, you cite quite a range – from the grand space opera of Frank Herbert, through the hard sci-fi of Kim Stanley Robinson to the more introspective and philospophical work of Haruki Murakami. Where would you place your own work closest to? Oh no! Another nearly impossible question! I think writers are enormously influenced by what we’ve read—both what we’ve enjoyed and what has troubled us. Throughout my teens, I couldn’t get enough of Stephen King and Clive Barker, not for the gore and splatter, but for the vividly imagined and daring worlds they created. It tells me that readers have an appetite for new, different, and surprising settings and characters and encourages me to take risks. Conversely, I recently re-read Asimov’s foundation series and I realized some of my writing was in reaction to his—for example, what if posthumous messages were more hurtful than helpful? Or take the TV show Fringe—what if crossing over wasn’t as easy as stepping through a portal—what if the blood price was quantum suicide? So in some respects, a work of fiction is in dialogue with those that came before. In looking at the three authors you mentioned, I hope that I’m channeling Herbert’s penchant for writing grand and historical battle of forces, Robinson’s exactitude when it comes to realism and scientific plausibility, and Murakami’s sparse filaments of magic that yank on readers’ curiosity. Where will Tortured Echoes be available? Time to throw down those links! The paperback will be available via Amazon (follow the same link and click on paperback) or on order from any chain or independent book retailer. Okay, our last question here on the blog is traditionally a two-part question. What are you reading at the moment, and what has been your favourite read from the past year? I’m reading Black Easter by Dario Ciriello, and it’s thoroughly creeping me out! Last year I had the privilege of getting my mind blown by William Gibson’s The Peripheral. Cody, many thanks for calling by, and lots of luck with the launch! 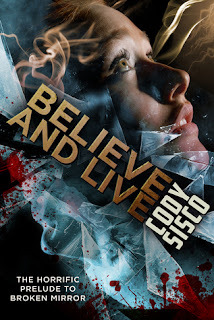 Cody Sisco is featured in a special deal today on Choosy Bookworm. Click here to see more. To follow Cody's work, keep up with him on Twitter here.